A strong effort in this vintage, the evolved, perfumed, purple-tinged 2007 Cheval Blanc offers complex aromas of menthol, cedarwood, mulberries, and black currants. Medium-bodied with beautiful fruit, sweet tannin, and a heady finish, this lovely wine should drink well for 10-15 years. Drink 2010-2025. 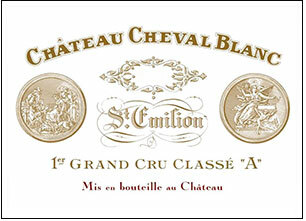 Tasted at BI Wine & Spirits' 10-Years-On tasting, the 2007 Cheval Blanc has a refined bouquet with scents of red berry fruit, leather, iron filing and orange rind, perhaps a little more advanced than some of its Saint Emilion peers, but still attractive. The palate is medium-bodied with grainy tannin on the entry. This is a "stocky" Cheval Blanc, with the Cabernet Franc component really forming the backbone to this wine, imparting bell pepper and spice box notes towards the grippy finish. I think it might have peaked a couple of years ago, so drink now and over the next 15 years. Tasted February 2017.